How Do I Know If I Need to Replace My AC? Over the years, cooling systems inevitably require regular tune-ups and various repairs to keep functioning effectively and efficiently. Eventually, the day will come when it makes more financial sense to replace your air conditioning system than to keep paying for repairs. It’s not always easy to know exactly when to replace your air conditioner. New systems are a major expense and repairs, taken individually, cost much less. However, systems that are reaching the end of their useful lives will need such frequent repairs and waste so much money through loss of energy efficiency that a full replacement is a good financial decision. Your energy bills provide great insight into the health of your cooling system and the choice between repairing or replacing your air conditioner. If your system is old and you are seeing a gradual increase in your utility costs, it may be time to replace your air conditioning system. However, if your energy bills are low and unchanging despite the age of your air conditioner, there is no pressing need to replace the system. Rising utility bills not only hint that your air conditioner may be failing but also help to justify the cost of a new system. A brand new air conditioner should provide a significant increase in energy efficiency, which will help you to get back some of the money that you invest in a new cooling system. The need for additional refrigerant is a clear sign of a coolant leak. For an aging system, the presence of a coolant leak is one of the clearest signs that you should replace your air conditioner. Refrigerant is expensive, and the combined cost of replacing refrigerant and repairing the leak can add up to over $1000. Leaks also signal likely compressor failure in the near future, and compressors are often another $2000. In all, low refrigerant frequently hints at upcoming costs that can equal or exceed the cost of a new low-end cooling system. 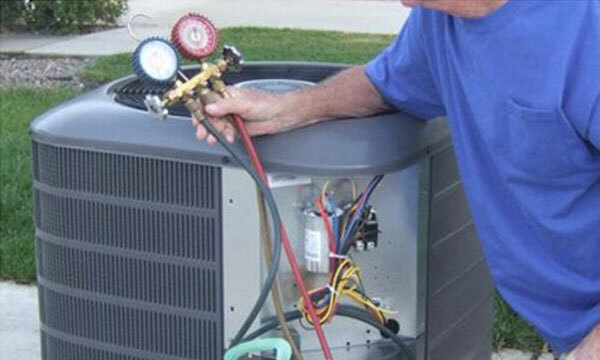 If you are considering whether or not to make a costly air conditioner repair, the age of your system may be a deciding factor. Spending $500 on a relatively new air conditioner makes much more sense than spending a similar amount on a 10-year-old cooling system. If you pay to repair an aging air conditioner, chances are that you will still need to pay for a new system fairly soon. In contrast, a new air conditioner should last you a decade and easily justify the money you spent. In general, the 10-year mark is a good time to start weighing the benefits of repairs versus replacement. Energy Star recommends replacing air conditioners every decade to improve energy efficiency. The average lifespan for air conditioners is 10-15 years, although some cooling systems may last as many as 20 years. Call Zodiac Heating and Air Conditioning today if you would like help determining whether it is in your best interest to repair or replace your air conditioning system. However, if you are ready for a new air conditioner, we can provide you with a free in-home consultation and estimate if you are in or near the Calabasas, Canoga Park, Simi Valley, Chatsworth, Tarzana, Valencia, Glendale, Northridge, or Woodland Hills area.